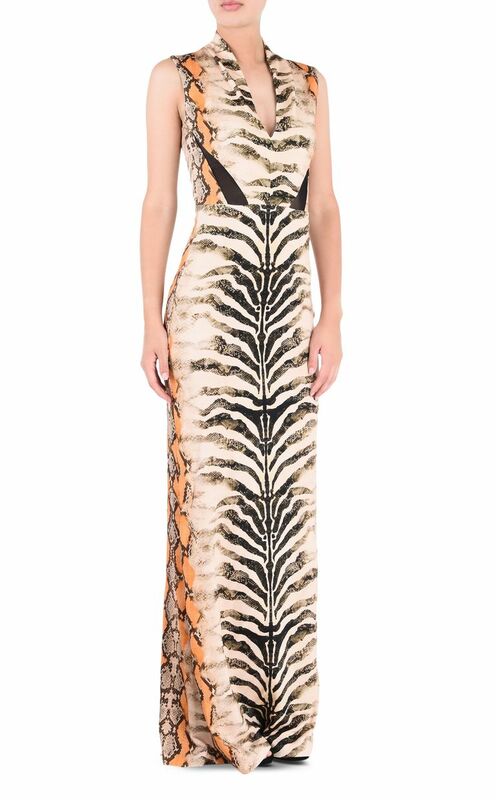 Sleeveless maxi dress with Namibia print. 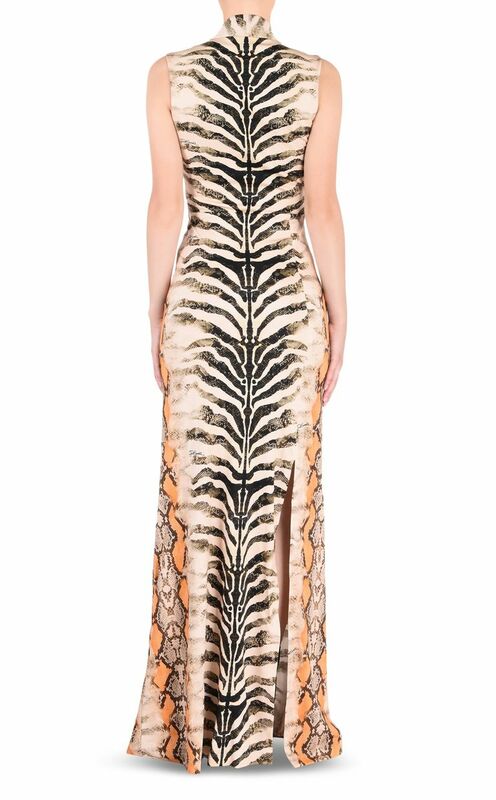 Shot through with the colours of the desert, this gorgeous print evokes the incredible animals of the African coast. Featuring a V-neckline on the front and delicate detailing to highlight the waist. Delicate slit detail to rear to add elegance and versatility to the style. Perfect for any special occasion.